Enjoy a stay at a Bespoke hotel & a Divine Chocolate Easter hamper | FreebieFinder UK | Freebies, Samples, & Other Free Stuff. Win a relaxing spring break for two, bed and breakfast, in a Bespoke hotel + a Divine Chocolate Easter hamper in this wonderful competition. The Bespoke Hotels prize consists of one night bed and breakfast for two people in a twin or double standard room at specially selected Bespoke Hotels. 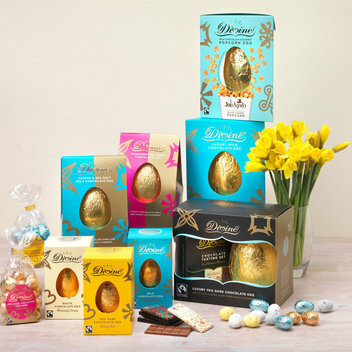 There are tons of chocolate Easter eggs included in the Divine Chocolate Easter hamper along with other sweet treats. This was posted 2 weeks ago 10th April 2019 and expired 1 week ago 15th April 2019. Answer the competition question and provide your name and email address in the form to be in with the chance to win.